Planning to start a new build? 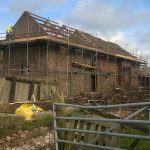 When considering a new build project there are a number of factors that come in to play, not least the new build finance. Here at Richmond Securities we are experienced in assisting with builds both from the ground up and where a smaller amount of finance is needed to complete a build project. As you might expect, the loan would be provided in stages and in most cases that is from the outset. So, when we say we provide 100% of build cost, we mean in ADVANCED stages rather than you being reimbursed after using your own capital. We always aim to roll up the interest, so monthly payments are not required, rather you pay back the lump sum when you either sell or remortgage to a buy to let facility. We understand that a “one-size fits all” is not the best way to proceed. So, with that in mind our new build facility is made as flexible as possible, with no hard and fast timescale for draw downs and further advances are not dependant on valuations – as long as the build is being done right we continue to fund. Our development finance can be used to complete house and flat projects and we are willing and more than able to lend outside the M25. Working with us means you are working with a dedicated team able to move very quickly and have the funds to you within your timescale. We don’t have complicated management structures so we are able to give you fast decisions and the process is made as simple as possible. All our loans are written for our own lending book and so we take personal care in each project to ensure as smooth a process as possible. For a start we DON’T say “Yes” to everything. Instead we take some basic but important information from you during our first conversation so we can start our underwriting. 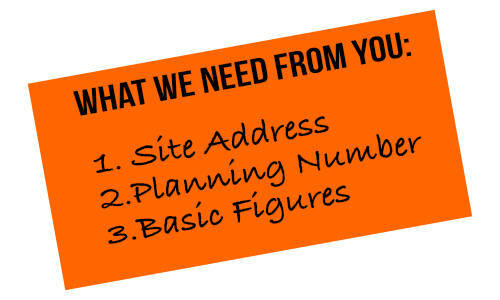 All we need is the site address, the planning number and the basic figures. From there we can get a very good idea of the project and its detail so we can give you a firm Decision In Principle. Because of the work we do, our Decision In Principle is a definite intention to lend. It is a genuine agreement and intent to lend you the money, subject to legals and site survey. So, we only give out figures and say “Yes” when we mean it. 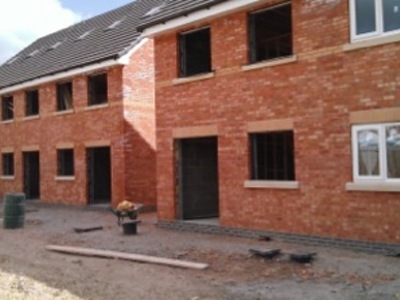 When it comes to new build developments experience is hugely important. That experience might be your own, having overcome build issues in the past. It might be the contractor you have entrusted with your project, you need them to do the work right first time. The same is true of the new build development finance and its provider. Richmond Securities has been funding projects all around the mainland U.K. for over 10 years. During that time we have come across many different problems and issues that have been over come and learnt from. With Richmond you can be sure that your draw downs will be there when you need them and that whatever issues may crop up will be dealt with quickly and with your benefit in mind. We treat our clients like business partners; we are in this together. We want you to become a repeat client of ours and the only way we are able to do that is to really look after you. To make it happen we will be flexible on draw downs and we will make it simple and easy to get to your funding. You deal with decision makers at every step of the process and you won’t find us putting barriers in between you and funding. To see for yourself why we are the best, get in touch now. The best way is to give us a call on 01492 233 505 or fill in our quick form so we can call you back. Our client was looking to fund the build of a pair of semi detached houses along with an additional terrace of 3. We were able to provide funding from out of the ground, in stages as required by the client. 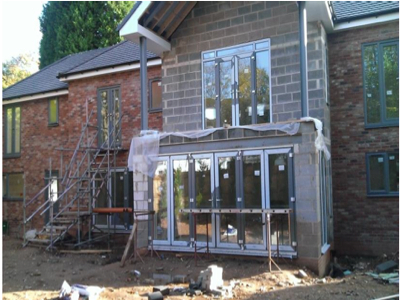 This one is the build of a single detached house in the West Midlands. Again, the client is an experienced developer and has produced some fabulous properties during his career. This build continues the run of quality work and we are currently in discussion about the next project.